Orange County Personal Injury Lawyer >> Blog >> Medical Malpractice Attorney: Do You Have a Medical Malpractice Case? Medical Malpractice Attorney: Do You Have a Medical Malpractice Case? If you or a loved one suffered a life-changing injury because of a doctor or hospital’s negligence, you should immediately consult with a medical malpractice attorney. At Russell & Lazarus, we fight on behalf of med mal victims and their families. Learn more about medical malpractice below. You suffered provable damages (such as lost income, medical bills, pain and suffering, and loss of enjoyment). While most people associate medical malpractice with doctors, you can also have claims against a nurse, chiropractor, dentist, midwife, hospital, or another medical provider. Failed to treat your condition or institute proper safety mechanisms. If you need help evaluating your claim, contact a medical malpractice attorney at Russell & Lazarus for a personalized evaluation. Initial consultations are always free. It’s important to understand that a medically-accepted standard of care is a more technical standard than the duty of care in a standard personal injury claim. You must show that a similarly-trained, prudent medical provider in the same community could have provided a higher level of care. Unfortunately, it can be difficult to find medical witnesses who are willing to testify against other doctors. Doctors are frequently loyal to their fellow providers and hesitant to speak out against misconduct. At Russell & Lazarus, we have relationships with skilled medical experts who help us understand and prove the appropriate standard of care. 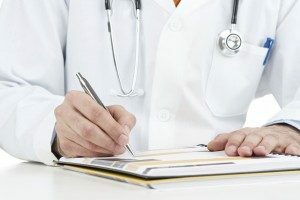 Do I Really Need a Medical Malpractice Attorney? Medical malpractice claims are some of the most complicated types of personal injury lawsuits. You must meet additional, highly technical requirements, such as the filing of a Notice of Intent at least 90 days before filing your lawsuit. If you do not meet these strict procedural requirements, then you will lose your right to compensation. Additionally, medical malpractice lawsuits required extensive medical and legal knowledge. The doctors, nurses, and hospitals involved will hire skilled medical malpractice defense lawyers – who will do their best to minimize your damages, question your allegations, and delay the litigation process. Without an experienced medical malpractice attorney by your side, you can easily make mistakes and subsequently lose your med mal case. A medical malpractice attorney can help you assess your medical negligence claim as well as pursue fair compensation for your injuries. The personal injury lawyers at Russell & Lazarus have extensive experience handling medical negligence, neglect, and failure to diagnose claims. You can schedule a free and confidential evaluation by completing our simple, online form or calling our office.